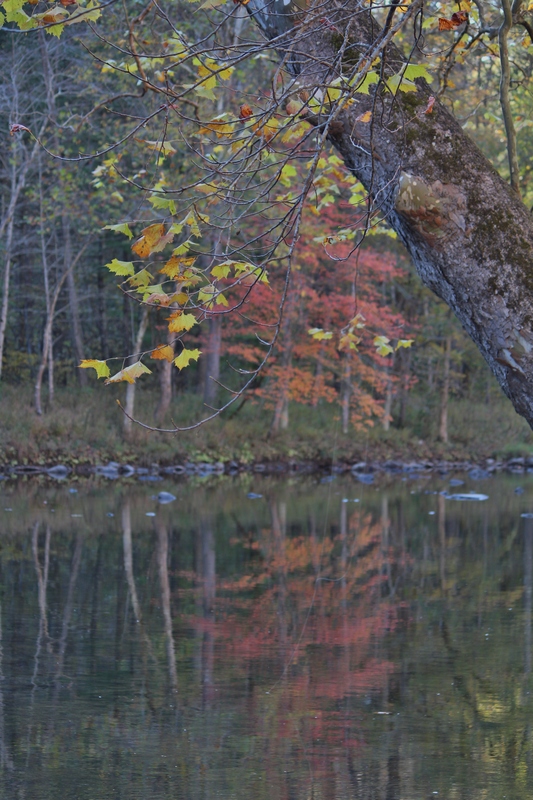 Looking for gold in all the right places: Pipestem State Park, WV | Oh, the Places We See . . . It was a “seize the moment” trip, planned on the fly, with but one major goal: find fall leaves during the third week of October 2015. 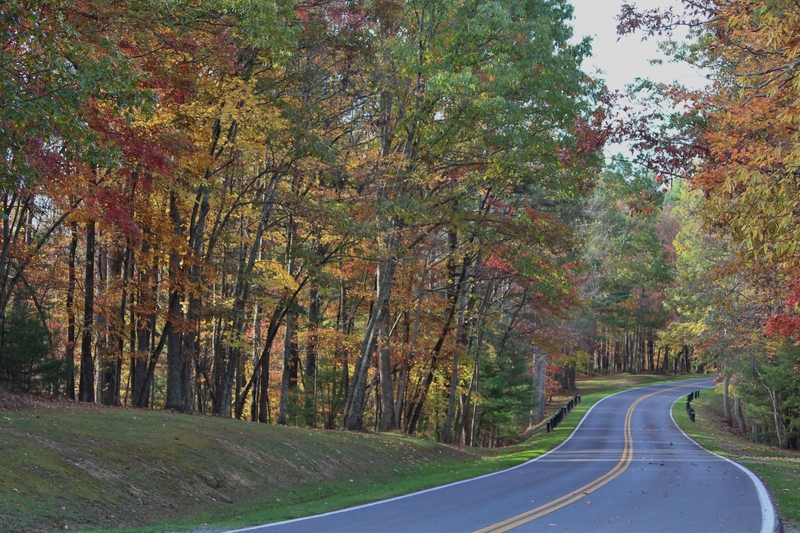 We had few days and even fewer dollars, but we were on a mission: How could we sightsee close to home in Tennessee and, hopefully, find the gold in “them thar leaves” that autumn leaf peepers rave about? Well, it was easy. Our route began in our hometown of Knoxville moving along I-40 to I-81 toward I-77 into West Virginia. And even though our preferred places to stay when traveling in the States — B&Bs — were fully booked, we were able to spend our first night on this journey at a state park with more amenities than we normally find. Pipestem Resort State Park, 14 miles north of Princeton and 12 miles south of Hinton on state Route 20, filled the bill and then some. We passed on what looked quite wonderful — golf, fishing, hiking, biking, horseback riding or camping — and focused on one thing: scenery. 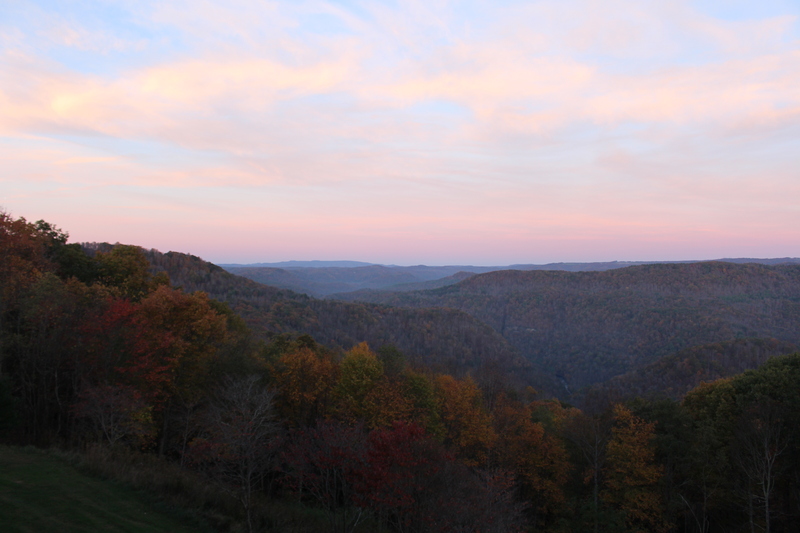 Positioned on a plateau overlooking a river gorge, Pipestem offers vistas from every room of the 113-room McKeever Lodge. Fall color was just a seasonal bonus. 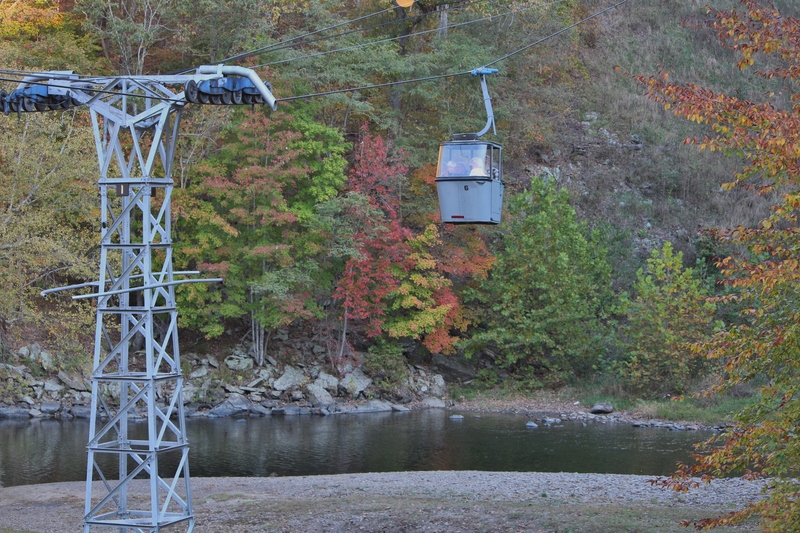 Pipestem also has an asset we’ve never seen at a state park: an aerial tramway. In fact, a ride in the tram is required (hang on to your suitcase!) if you stay in a room at Mountain Creek Lodge at the base. 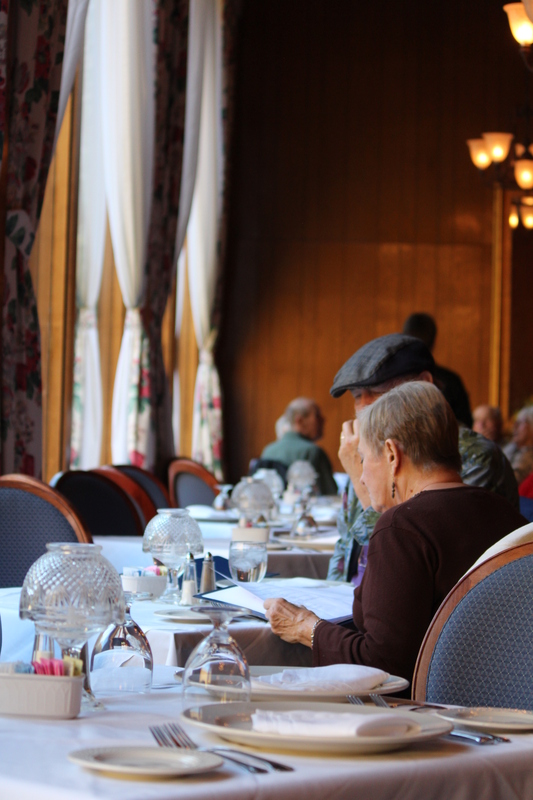 Or dine on gourmet fare in Mountain Creek’s elegant restaurant. And while waiting for dinner (quite posh, we might add), we walked along the creek at the base of Bluestone Canyon, rewarded with lush fall color and the sounds of a mountain stream. 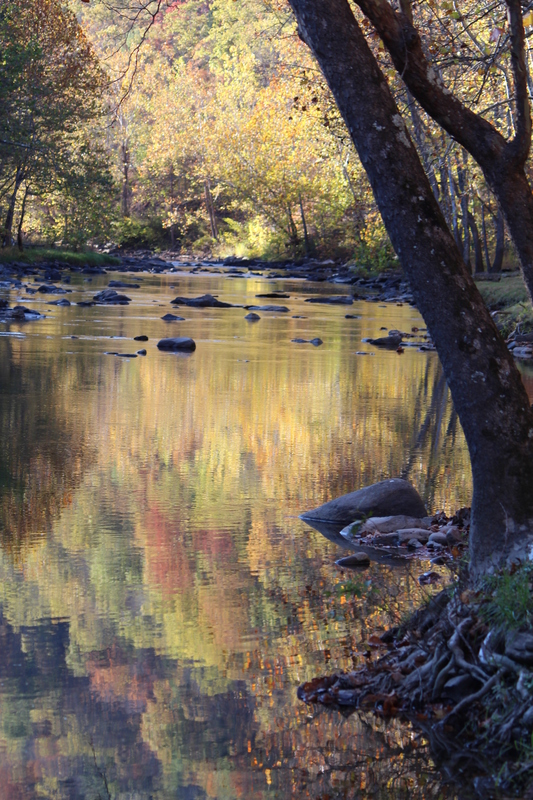 Finding gold near Mountain Creek Lodge at Pipestem Resort. 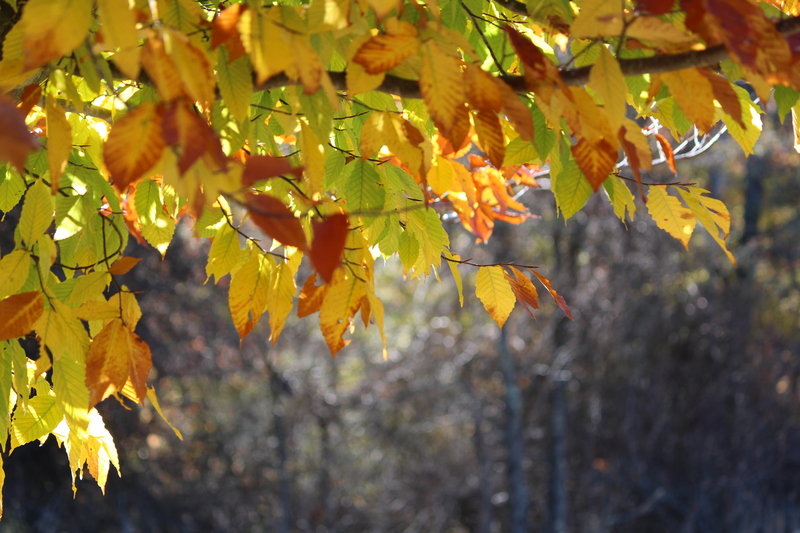 The next morning, our final search for gold (and greens, yellow, reds) ended at Pipestem’s Arboretum. 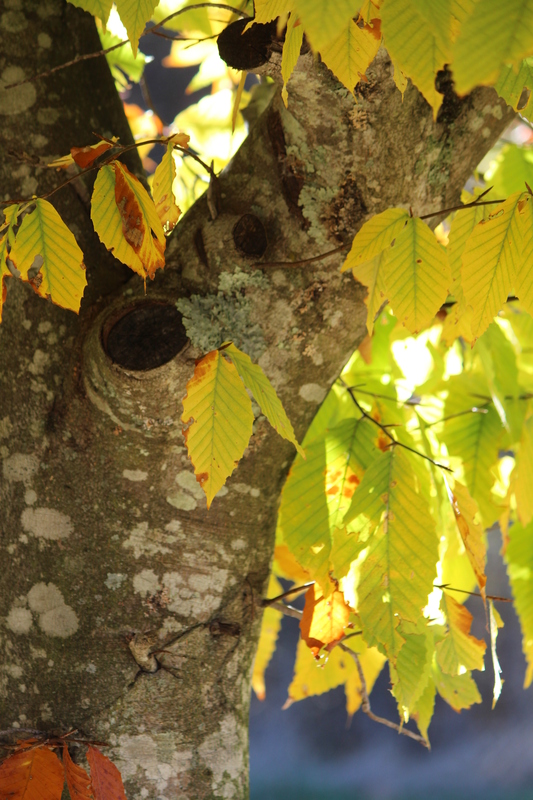 Backlighting by the morning sun turned visions of fall splendor into reality. The slightly less than 24 hours we spent at Pipestem reaffirmed what we’ve known all along — state parks make for an affordable yet beautiful place to stay. And, cheesy though it may sound, this was one golden place to visit. Let us know if you have a favorite state park. 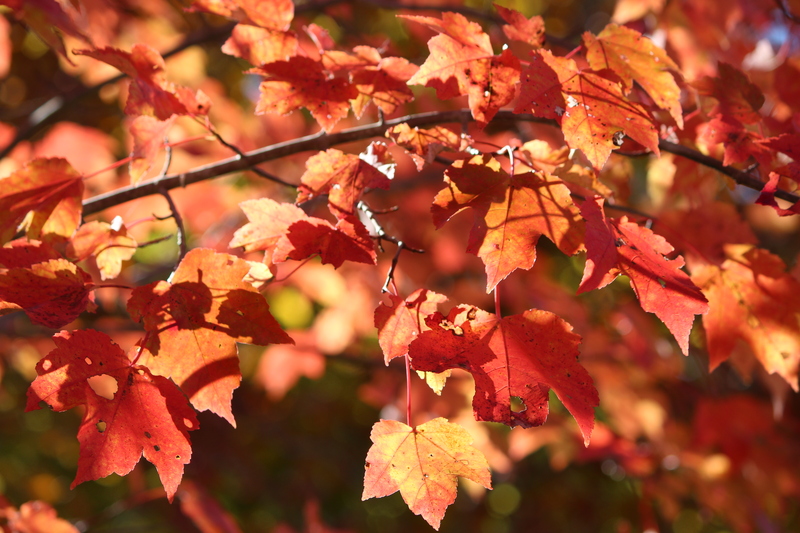 And join us for a few more stops along our Fall Color Tour 2015, four days filled with colorful leaves and so much more. For more information, check out Pipestem Resort State Park or West Virginia State Parks. 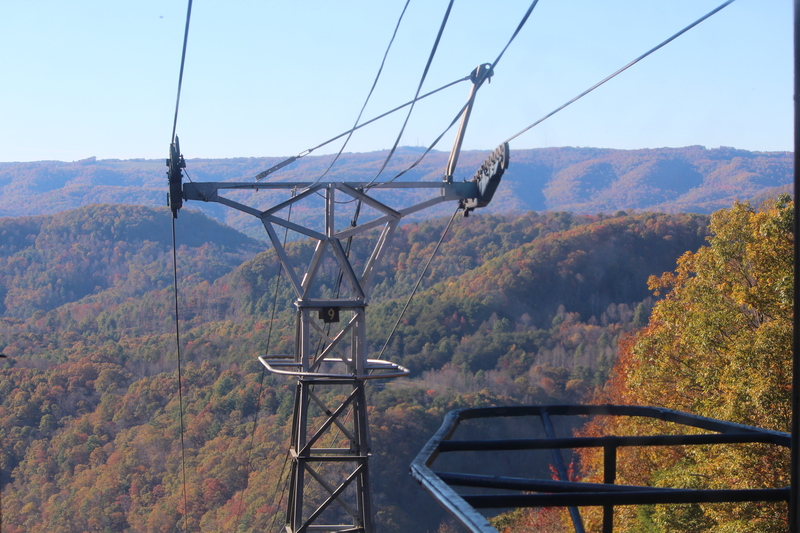 This entry was posted in The East, Travel, West Virginia and tagged aerial tramway, autumn leaves, Bluestone Canyon, Fall 2015, Mountain Creek Lodge, Pipestem Resort State Park, West Virginia. Bookmark the permalink. You know, I hadn’t thought of framing that picture. But I just might do that. Or I might print some for note cards. It was a lovely fall day! Just beautiful. I always wish fall lasted longer here in Michigan. Or winter was shorter. Or something. What a great find. State parks are such a wonderful resource. We have over a 100 state parks in NH. This fall has truly been amazing with its show of colors. With our success at finding/liking this state park, we’re thinking we need to check out this resource in other states. But in NH, I’ll bet the parks fill up fast during leaf season! I’m still going to try to get there next year. Want to see your state. Wow! the beautiful sites you caught! It has been a beautiful Autumn! So glad you got to enjoy some of the splendor! Oh, Jodi, we’re so glad we got to enjoy this splendor, too. 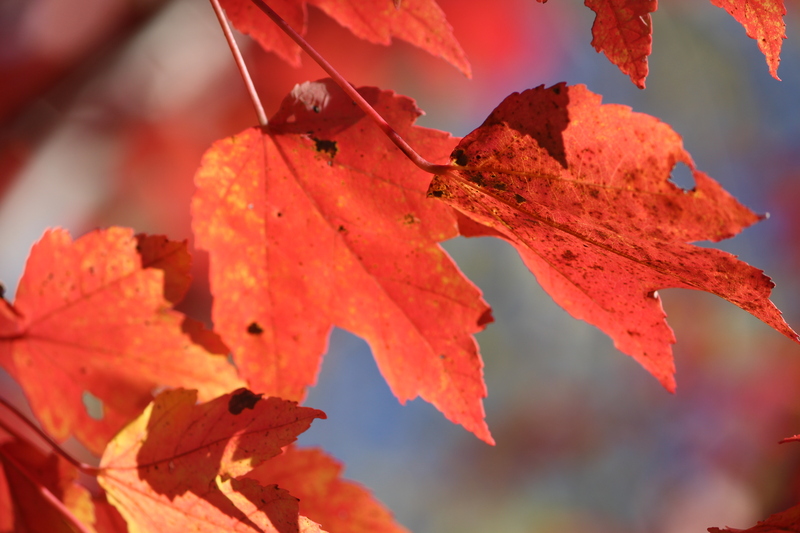 The older we get, the more we want to “see it while we can.” And this fall is really pretty — at least around here. How about where you are? Awesome photos – those reflections are breathtaking! Thanks so much, Lynda. It’s fun taking pics in the fall. Appreciate the visit and comment.